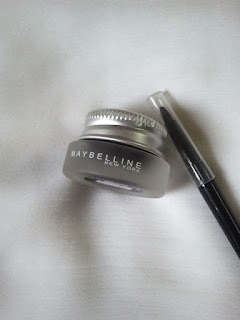 Review: I am a girl who started with using liquid eyeliners and must add I had no problem from the start with application. 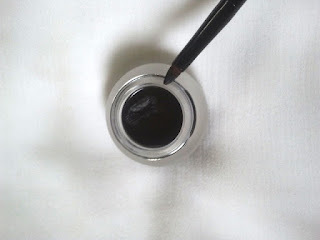 However in the monsoons I do have to switch to pencil eyeliners which have the problem of getting washed off or smudged very easily during the course of the day. I am not the one to go to the washroom and touch up at lunch hour unless I have a meeting, so this was something I wanted to test for 2 reasons- smudgeproof/ longwear & water resistance. This product is super duper amazing for both and must add for its application too. 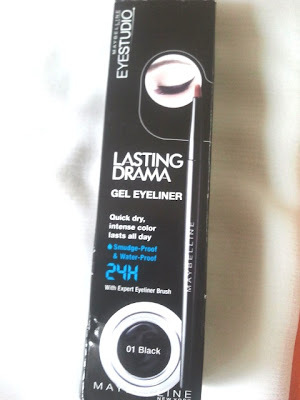 The gel liner is placed in a cute opaque small glass container and comes along with a brush, which I use even tough I have the Coastal Scents bent eyeliner brush popularly used in YouTube videos for gel eyeliners. It somehow feels a lot more easy to apply than a liquid eyeliner and gives the eyes a good definition. It lasts through my 13-14 hours of being out in the Indian weather & local commute. Its very easy to create a winged eye with this eyeliner. Needs to be removed with an eye make up remover for waterproof make up. Verdict: A must have. Might never go back to a liquid liner. love this stuff so much..nice blog dear...love your blog too, would you like to follow each other?